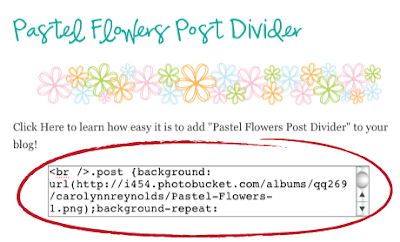 My Blog Makeover: Tutorial on How to Add a Post Divider to Your Blog! Tutorial on How to Add a Post Divider to Your Blog! 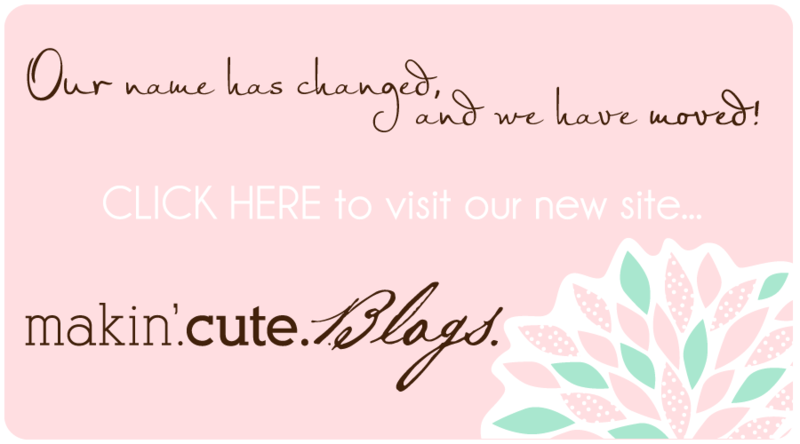 Adding a Post Divider adds a fun touch to your blog and is way easier than you would think! 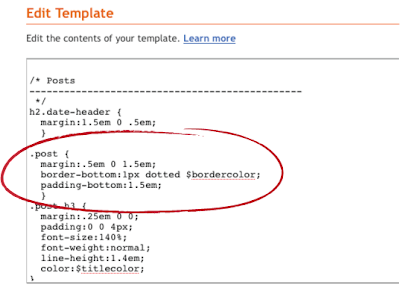 Step 1: Go to your Layout tab of your blog and click on Edit HTML. Step 2: Scroll down until you get to the Posts section. 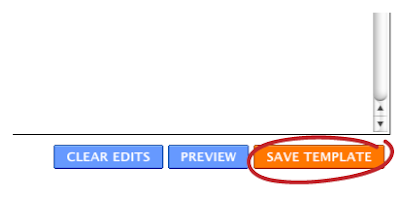 Step 4: Click on Save Template, and you are done!! I was wondering how you change the font of the title of your posts? I've tried changing the font on my blog to a cute font that is on my computer, but it doesn't show up the same on other computers that don't have that particular font on their computer. thanks a bunch!! how can i mentioned u in my blog, as a way of saying thank you?other than in my post? Here is a link to my blog ~ sorry I forgot to add it ~ I'm still new at this! Check out your dividers & thanks again!!! hello i cannot do the way ur tutorial. mine is different . inside the edit html there are not the same as ur. can u help me? mine also cannot do the way in ur tutorial... can u help me for this new template blog? Thanks for the blog. Your blog is so attractive . Everybody stopped for reading your article. You did a good job in writing the article. I like it so much.